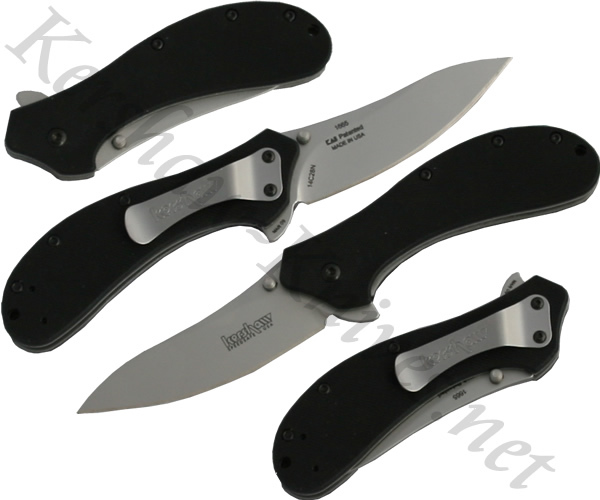 The Kershaw Packrat model 1665 has a 3.25 inch Sandvik 14C28N stainless steel blade that has a unique swept shape. It uses the Kershaw assisted opening system that is activated by either the thumbstuds or the lever on the back. The blade is locked and released by a liner lock inside the handle. The handle has textured G-10 overlays that give good grip even in wet conditions. A reversible pocket clip that is included can be mounted on either side of the knife.